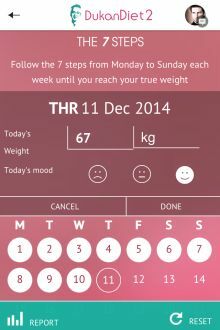 This app will help you through the 7 steps from Monday to Sunday until you reach your true weight and guide you as you progress to the Consolidation and Stabilisation phases. 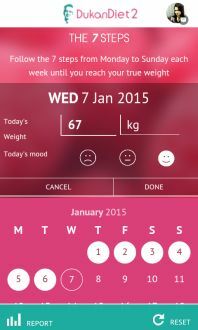 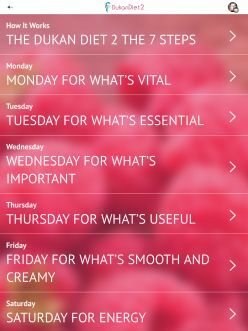 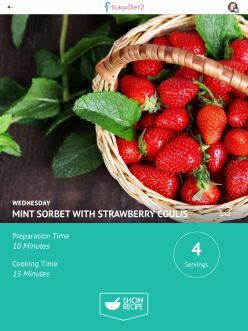 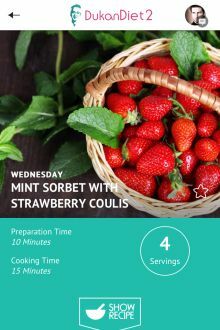 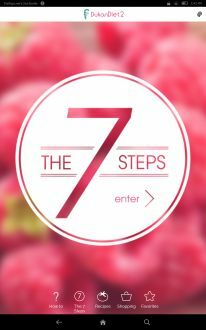 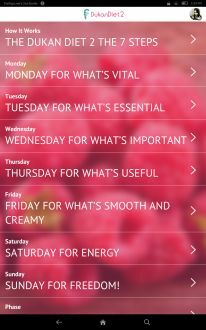 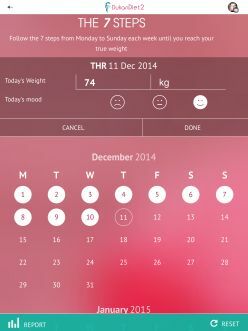 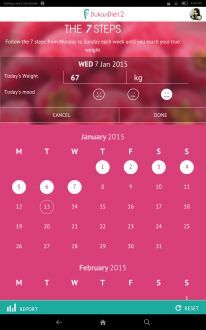 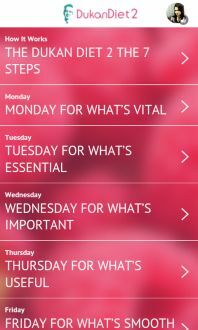 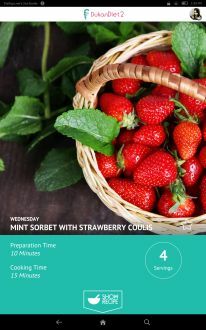 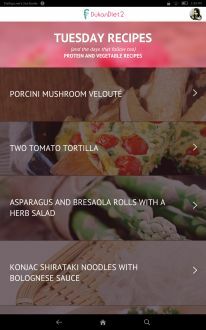 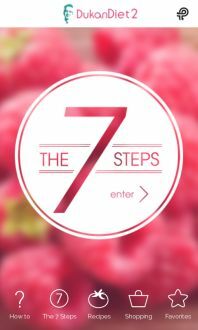 The only official Dukan Diet 2 – The 7 Steps app, from the million selling author of the Dukan Diet. 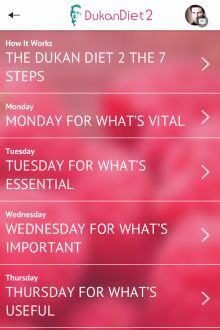 Devised by Dr Pierre Dukan, a French medical doctor who has spent his career helping people to lose weight permanently, The Dukan Diet is the culmination of thirty-five years' clinical experience. 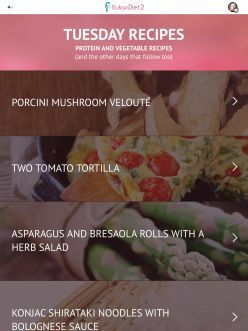 Beyond its immense success in France, The Dukan Diet has been adopted by more than 50 countries and translated into 25 languages. 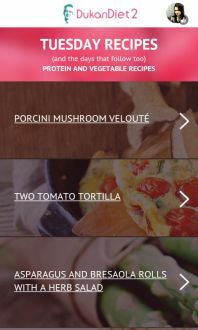 Dr Dukan has created a new version of his bestselling diet. 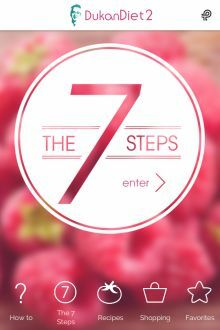 It's just as effective as the original but with a seven-day eating plan to help you lose weight at your own pace without giving up the foods you love. 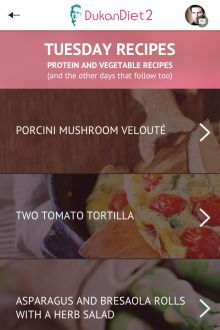 App features include: -	Over forty new recipes -	Shopping list function for ease of reference -	Full colour illustration -	A food diary which lets you track what you’ve eaten and when -	A tracker to record your progress towards your true weight Recipes include: -	Sautéed Mediterranean prawns with caramelized ginger	-	Vegetable tartare with chopped smoked salmon -	Citrus gratin with syllabub -	Crostini slices with melon and Bresaola -	Spinach gratin with goat’s cheese -	Tandoori chicken with red lentil dahl -	Japanese style chocolate fondant This app will help you through the 7 steps from Monday to Sunday until you reach your true weight and guide you as you progress to the Consolidation and Stabilisation phases. 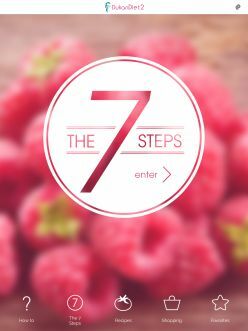 Dukan Diet 2 – The 7 Steps is the new way to lose the weight you want like millions of others have around the world.